The third installment in a series about religion at Andover. A closer look at Islam on campus. According to the 2016 State of the Academy, 54 percent of participants responded that religion was among the three least-discussed facets of identity at Andover. We set out to uncover religion at Andover to spark discussion and examine the role faith plays in student life on campus. You can read the first installment in our series, Open to All, on Judaism, or the second installment, on Christianity. If you have any feedback or comments about this series, you can email ede@phillipian.net. When classes end on Fridays, members of the Muslim Student Association (MSA) meet for prayers and dinner. Practitioners of Islam are encouraged to pray five times a day, but Muslim students at Andover cite Friday prayers as a particularly special time to come together and practice their faith as a community. “We’re a very small but close-knit group, which makes being a Muslim at Phillips Academy so much easier,” said Hana Illikkal ’19. Friday MSA meetings are a place of calm and security; students can pray knowing that they are surrounded by other students of the same faith. This feeling of security, however, is not always guaranteed when Muslim students practice their faith on campus. With no designated prayer space or time, Hana Illikkal already struggles to find time to pray in her hectic Andover schedule, often snatching minutes during her lunch periods or before sports. During the day, she explained, she is not always certain she will be able to find a protected, quiet space to pray. “In the past, students have used the area at the top of the staircase in the library as a prayer area. It's been used like that for years… it's kind of uncomfortable, but prayer is something that's so important to me that I'm going to risk feeling uncomfortable because I'm going to keep doing my prayers,” said Nadha Illikkal ’17, former president of the MSA. For Reader Wang ’18, although he does occasionally have to miss parts of classes or sports to pray, adults on campus are accommodating. “Sometimes… it kind of conflicts because if you decide to [pray] five times a day you have to miss a couple minutes of class…The adults on campus are generally supportive if you are late for a sport because you’re praying,” said Wang. Being a Muslim student at Andover means being a member of a very small religious minority. According to the 2016 State of the Academy, only two percent of students who responded identified as Muslim. Unlike Catholic, Protestant, or Jewish kids, Muslim students lack a Chaplain. The Muslim Student Advisor, David Fricke, does not live on campus. Practicing Islam can be even more difficult for boarding students, who do not have the opportunity to perform some of their five daily prayers in the comfort of their homes or observe major Muslim holidays with their families. Fricke works with boarding members of MSA to facilitate celebrations of the major Muslim holidays and organize trips to local mosques. “Many [boarders] were used to celebrations with extended family and friends and their neighborhoods at their local mosques, and they totally miss out on that here. So what was a big deal at home ends up being a smaller scale with their new Andover community here,” said Fricke. Wang explained that having to perform prayers on his own and take his faith into his own hands has made him more devout because he does not feel that he is relying completely on his parents. “At home, I usually go to the Mosque with my parents, and my family is all Muslim. Now I have to do the religious stuff on my own, which is actually personally kind of different for me. But also, I feel like this makes me more close to the religion because I’m actually wanting to do this stuff on my own,” said Wang. David Fricke serves as the Muslim Student Advisor, but he does not live on campus. There are three major holidays in the Muslim calendar, Fricke explains, two of which are the Eids: Eid al-Adha and Eid al-Fitr. The third holiday is Ashura, which is a holy day for all Muslims, but of particular importance to Shia Muslims. It took place in October this year. Eid al-Fitr is observed at the end of Ramadan, which will take place in June, and Eid al-Adha occurred in early September of this year. Starting this year, the administration has made plans to consistently observe both Eid holidays. Eid al-Adha was a formal school holiday. In addition, Anne Gardner, Director of Spiritual and Religious Life, notified the Andover community of the occurrence of Ashura via email. Fricke explains that incorporating Muslim holidays in the academic calendar is difficult because they are based on the lunar calendar, meaning that they occur ten days earlier each year. “Because [these holidays] are going to be fluid and moving during the academic year, it would take different planning each and every year to look where that would be,” Fricke said. Hana Illikal states that although she finds that academics do not usually interfere with her religious calendar, she anticipates finals week to be more difficult this year because it coincides with the beginning of Ramadan. Ramadan is a month in the Islamic calendar in which Muslim students fast from sunrise to sunset. Still, Hana Illikal explained that she feels that the administration is generally mindful of the religious obligations of Muslim students. In addition to beginning to observe the two Eid holidays, the school has also implemented changes in the dining hall which allow Muslim students to follow Islam’s dietary laws, which includes offering dishes like Halal chicken or meat. “Some Muslims have dietary laws that are in some ways similar to kosher laws for Jews in the sense of how animals are slaughtered… Much of the chicken that happens to be served here is halal, so that is very unique among boarding schools,” said Fricke. 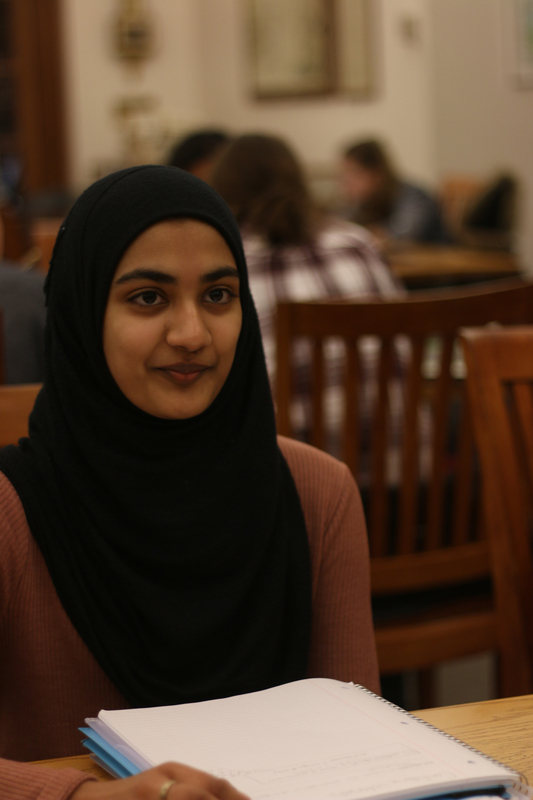 Despite the practical and logistical challenges of practicing Islam at Andover, students say they feel that their faith is generally accepted by their peers. “I feel like I have the responsibility to represent my religion and show people what Islam is really about… I encourage anyone to ask me any questions they have about Islam; almost nothing will offend me. I think these types of open conversations are the best way to break misconceptions, and who better to learn about Islam from than an actual Muslim?” Hana Illikkal continued. Sisters Hana Illikkal ’19, left, and Nadha Illikkal ’17, right, both manage religious obligations and life at Andover. Although Newaz Rahman ’20 said he is willing to discuss his faith with peers, he noted that the conversations are just not happening. “The conversation about religion doesn't really come up between friends, so we just kind of carry on life. When they do learn, they want to know more about it… There's a lot of things going on in the news about it and so it feels good to teach people more about it,” said Rahman. MSA attempts to create a space where discussions about religion are facilitated and encouraged. “There are two goals to the club. One is creating a safe space for Muslims on campus so that they can get to know each other and talk about their faith because faith in general and religion in general is not something that is discussed particularly well… And the other main objective that we have on campus is bringing awareness to Muslim issues, Islamophobia, bringing speakers, and having events, things like that,” said Nadha Illikal. In addition to hosting Muslim students for Friday prayers, MSA also organizes traditional group meetings centered around a discussion topic once a week, typically on Wednesdays. Wang feels that having a supportive community to practice his religion with makes him more calm, confident, and centered. “To have a supportive community, to have space where you can practice your religion; it’s always really nice. I think having religion in general makes you feel more calm… makes you believe more in yourself, and just that you know that there’s someone or something up there that’s helping you out to make you feel more confident when you’re going through difficulties,” Wang said. Rahman agrees, stating that practicing Islam on campus reminds him of home and helps him maintain wellness. “It really makes you feel well spiritually, and this may be a cliché thing that people say, but it actually really benefits me. And having, especially every Friday, that touch back to your faith reminds me of something back home, I think it's really important because you can get caught up with the busy life here, so I think a touch back to your faith, it really feels good,” said Rahman. Moving forward, there are two main problems on campus that Muslim students would like to see resolved. One is the lack of a chaplain or a recognized Muslim religious leader, the other would be establishing a permanent prayer space on campus. 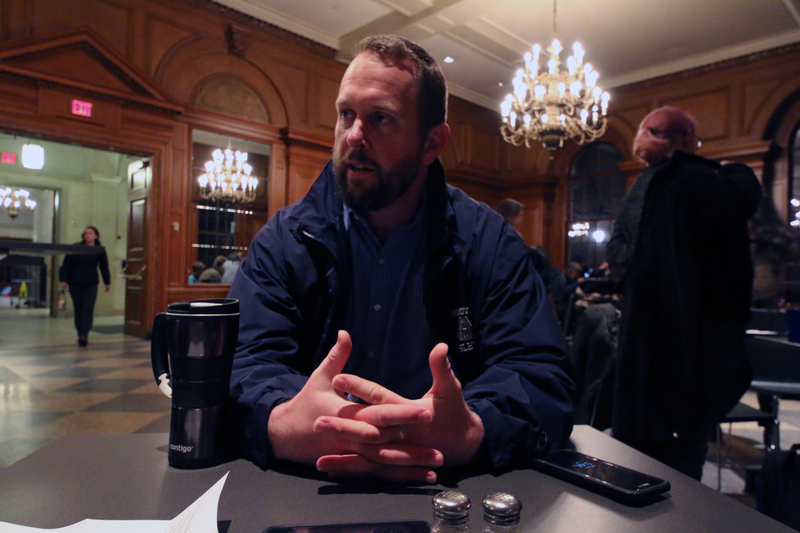 And when asked whom they rely on most on campus, many students cited Fricke. “The MSA advisor, Mr. Fricke is very supportive and he is always eager to meet with the Muslim students if we ever need someone to talk to. There are very few Muslim faculty members on campus,” said Hana Illikkal. Having a chaplain, or at least having a Muslim faculty member live on campus would make for a better Islamic religious community, explained Rahman. “We have our faculty advisor, Mr. Fricke, but the thing is, he's sometimes or a lot of the times off campus, so if we had one person who could stay… there would be a better community,” said Rahman. Nadha Illikkal believes that not talking about religion is neglecting an opportunity to educate Andover students about a pillar of identity across cultures. “I don't think [religion] is talked about enough. We do a really, really good job talking about race, and gender, and sexuality, and I think that's incredibly important because they're all super important things that we need to discuss as a community. 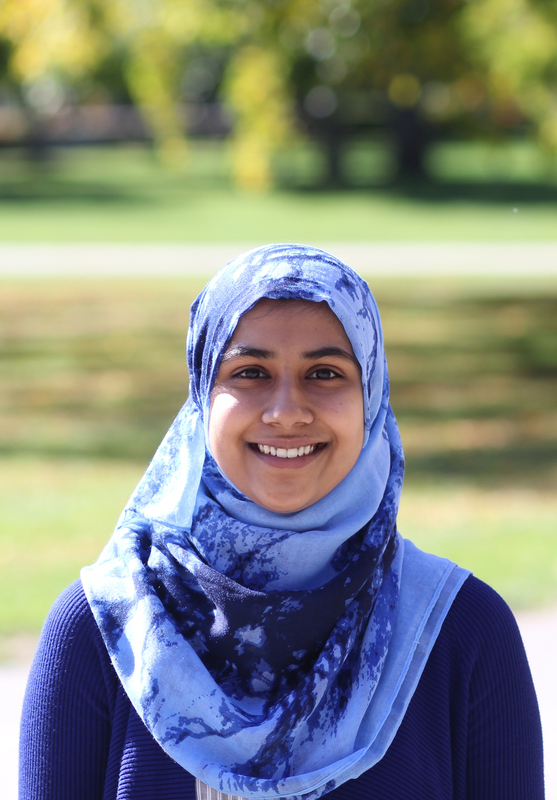 But I also think religion is so important because religion really affects so many people across the globe and if we want an Andover education to help our students become global citizens, how can we do that without discussing religion?” said Nadha Illikkal. Nick Bevacqua, Lin Gan, and Harvey Zheng contributed reporting.